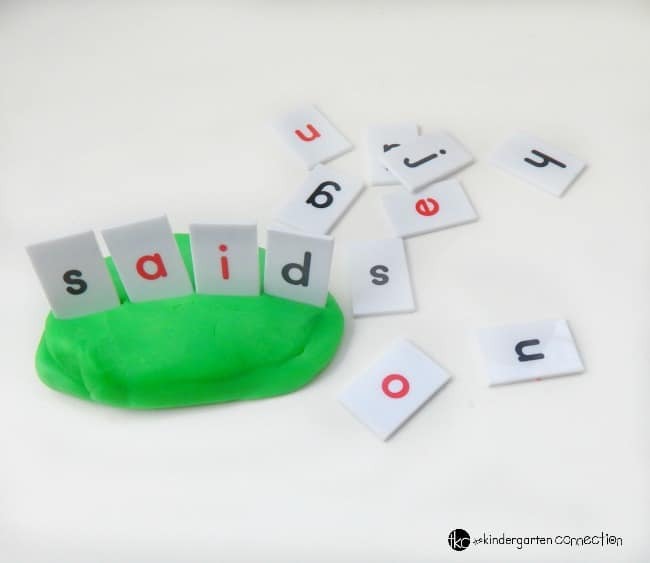 Whether it’s after reading a picture book with amazing rhyming text or a new found interest in words that sound alike, learning to rhyme is always fun for young children! 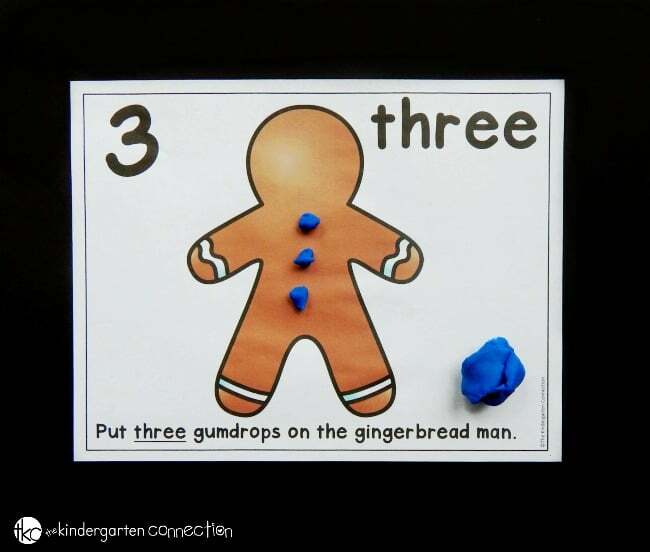 This is the time of year in my classroom when my preschoolers seem to pick up rhyming. Normally though with most of my preschoolers rhyming includes lots of nonsense words! 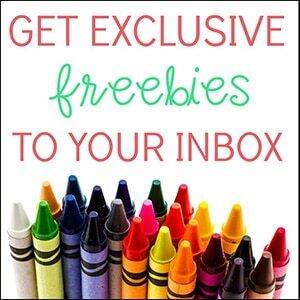 Our rhyming rocket match game is the perfect activity to help reinforce rhyming skills. 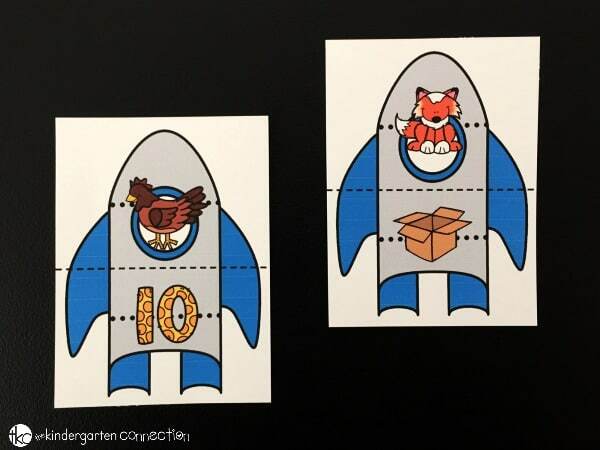 This free printable set includes 10 rockets cards. 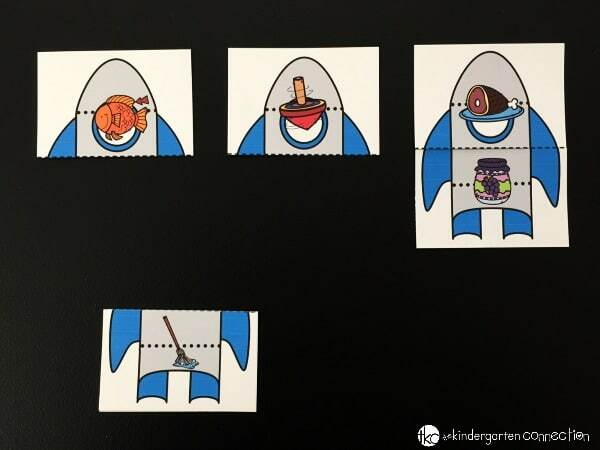 Each rocket card has 2 images on it that rhyme with each other. 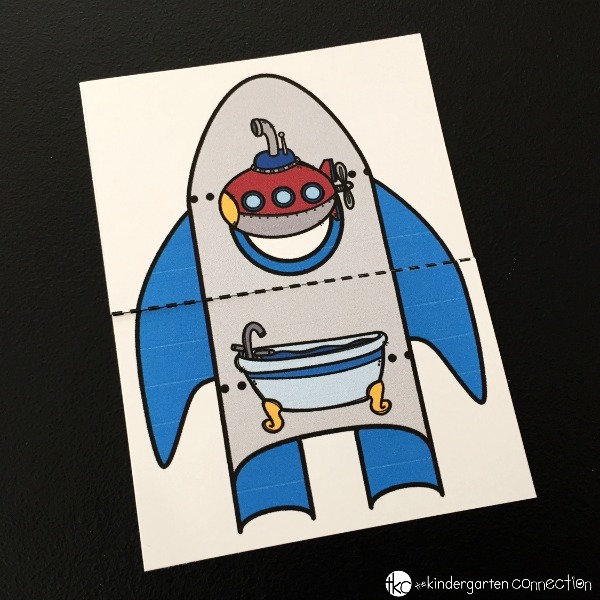 Print out the rocket cards on cardstock (if not laminating them) and cut them apart on the gray dotted lines. After that cut them apart on the black dotted line that is printed across each rocket. This line separates the top of the rocket from the bottom. The pictures on the rhyming rocket match game are simple, one syllable words. This is helpful when working with beginning rhyming skills. Now that the rhyming rocket match game is prepped, it’s time to play! The object of the game is to match each top half of the rocket with the correct bottom half. 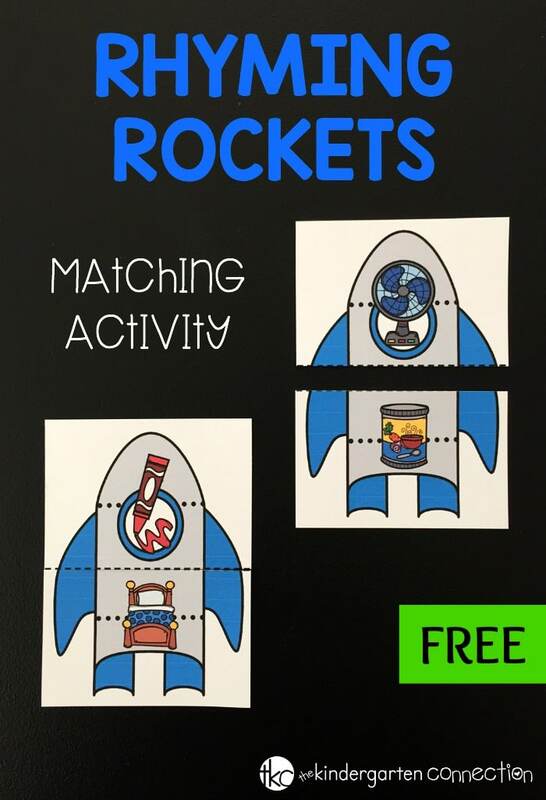 When matched up correctly, the pictures on the top and bottom of the rocket will rhyme! To play, organize the tops on the table. Add the bottoms to a pile or a basket. Pull one rocket bottom piece out and find the rhyming match. Continue until all of the tops have matching rhyming bottoms. 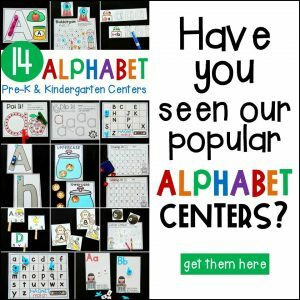 For those kiddos who are just starting out with rhyming skills, start with just a few rockets at a time so that the rhyming game does not frustrate them. 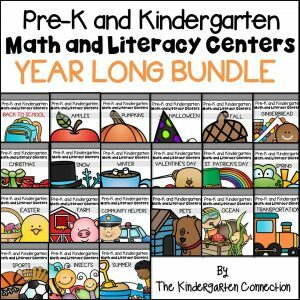 This is also a way to make this into an independent learning center for your classroom for more than one student at a time. Pull out just a few sets of rhyming rockets and set those tops on the table. Now there are just a few bottoms to organize instead of a whole pile! Add each matching rhyming bottom to the correct top and pick another bottom. 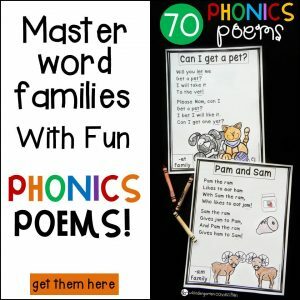 Play either way that works for you and practice rhyming!